Inside São Paulo: The 27th edition of the International Motor Show of Sao Paulo is just beginning. Check it out! The 27th edition of the International Motor Show of Sao Paulo is just beginning. Check it out! The Salão do Automóvel de São Paulo (International Motor Show of Sao Paulo), is the largest and most important automotive event in Latin America. All car enthusiasts can enjoy the big industry trends and what is most modern in the automotive world. In a few days for the opening of the 27th edition of the Salão do Automóvel de São Paulo, we know so far that the luxury brands Lamborghini, Bugatti, Pagani, Koenigsegg and Spyker will not be exposing at this time. The reason is the 30% tax applied by the Brazilian Government on imported vehicles. Not only is high pricing an issue. The high cost to exhibit kept away luxury car brands such as Ferrari and Maserati, for example. This is the first time since 1991 that these brands will not be part of the event. A way to participate was to use Fiat's space (owner of the two brands), to accommodate a supercar of each: a Ferrari 458 Spider and a Maserati GranCabrio Sport. The Fiat novelty will be the new 500C, a convertible version of the Cinquecento. The German Porsche will bring the 911 Carrera 4S, Boxster (including S version), GTS coupe of the Panamera and Cayenne. Also the German brands Audi, BMW and Mercedes-Benz will be present. 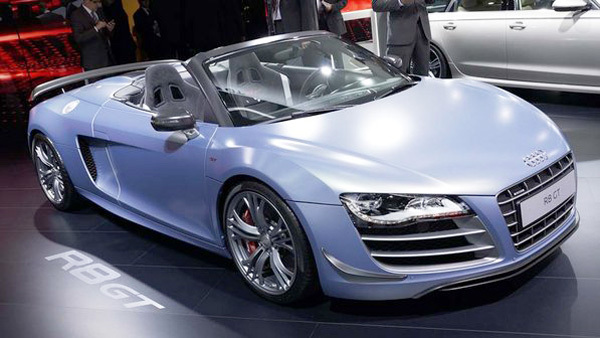 Audi will bring the Audi A1, A3 and R8 GT Spyder (sold in the Brazilian market for R$ 1.2 million). The BMW M5 comes with the newly released Series 6 GranCoupé. Rumour has it that electric cars i3 and i8 will be featured. The Mercedes-Benz SL roadster brings the new Class A and B. The British brand MINI (BMW that belongs to the group) will bring the Cooper and the recently launched Paceman. The new Viper (now SRT), will be representing the Chrysler brand. Among the Japanese brands, Lexus will display the rare LF-A and Toyota will show the Etios and the FT86 sports, developed in partnership with Subaru. The Korean Hyundai will present the HB20, the i30 and Santa Fé. The Jaguar will show the F-Type. The Land Rover brand brings the big Range Rover jeep to Sao Paulo. The Bentley brings the Continental GTC V8. The Aston Martin shows the Mirage. The Citroën will bring the DS4 and DS5 and also an electric car concept called Survolt. The Peugeot promotes the 208, which will be released next year in Brazil. The Renault brings the new Clio to the Mercosur and the prototype Alpine A-110 50. Among the group of the four major Brazilian automakers (Ford, General Motors, Fiat and Volkswagen), have already announced their attractions. Ford invest in Fusion, Focus and Fiesta (national) and displays the Mustang Boss. VW will present the new generation of the Beetle, and the Canyon. GM already displays the popular Onix, the SUV Trailblazer and Malibu sedan, imported from the United States. When: October 24th to November 4th; On October 24th, from 1 pm till 10 pm; on the last day, the event ends at 5 pm. Price: The prices range from R$ 45 to R$ 80. 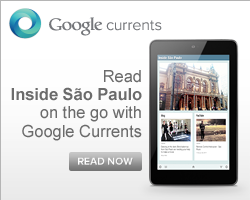 Children pay from R$ 22.50 to R$ 40.